News in and around South Africa. A shop in Sedgefield that marketed itself as a nursery, health and coffee shop had barely opened its doors for the first time on Saturday when police shut it down after finding food items and other products with cannabis. The shop on the Garden Route, whose name is known to News24, had advertised its opening day and address on its Facebook page, telling one person who commented that it would start posting items it offered with prices as soon as the shop opened. It told its followers that people were welcome to join a Whatsapp broadcast list where it would be sending menus, specials and new products on a regular basis. But it was not to be, according to Captain Malcolm Pojie, who said they got a tip-off and sent the Outeniqua K-9 (Dog Unit) to inspect the wares. “The merchandise included Cannabis oils, sweets, cookies/rusks, white widow, wedding cake, crossed with Gelato33, and Gorilla cookies, all of these containing Cannabis,” Pojie said. The products had an estimated street value of R80 000. Officers also confiscated an undisclosed amount of cash. A man, 31, was arrested on the spot and would appear in Knysna Magistrate’s Court as soon as he had been charged with illegal dealing in drugs. Well over 500 motorists have been arrested – the majority for drunken driving – since the beginning of the Easter holidays, authorities have said. Road Traffic Management Corporation (RTMC) spokesperson Simon Zwane on Saturday said a whopping 549 motorists were arrested, with at least 312 of them caught driving under the influence of alcohol. Zwane said the highest speed recorded was on the N14 in Gauteng where a motorist was detained for travelling at 196 km/h. “Traffic authorities are now gearing themselves upon for another upsurge in traffic volumes when travellers return from different places of pilgrimage and holiday spots on Monday,” he said. Zwane said roads were “extremely busy” on Thursday and Friday when motorists set off for on long-distance holiday trips. A total of 92 629 vehicles were recorded passing tollgates on the N3 between Gauteng and KwaZulu-Natal on Thursday. A total of 51 647 were recorded on the N1 between Gauteng and Limpopo on the same day. Zwane said authorities staged 79 roadblocks on different routes and issued more than 65 000 traffic fines. Most fines were for speeding, driving without licenses, driving unlicensed vehicles, failure to wear safety belts and driving unroadworthy vehicles. “The RTMC is again urging motorists to plan their return trips carefully with regular stops along the way to avoid fatigue,” said Zwane. Friends and family of cyclist Andrew Randall have taken to social media to voice their shock and grief after he was killed when a Toyota Tazz crashed into a group of 10 cyclists on the R55 near Centurion at about 06:00 on Friday. Randall was killed and two other cyclists injured. The driver of the Tazz is on the run after fleeing the accident scene in Centurion. Tshwane metro police spokesperson, Senior Superintendent Isaac Mahamba, told News24 the Toyota Tazz crashed into 10 cyclists on the R55 at about 06:00 on Friday. 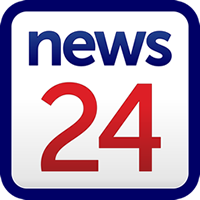 The deceased cyclist was identified as Randall by Netwerk24. Friends said that Randall’s death came “too soon” and offered their condolences to his wife and family. “I am just lost for words! I can’t believe it, we send lots of love to the Randall family!! RIP Andrew Randall and thank you for all you have done to progress my cycling. You will truly be missed by many!” Dominique Janssen wrote on Randall’s Facebook page. Randall, 45, is a salesman from Pretoria and the father of two children, Netwerk24 reported. By Friday afternoon, the driver had not yet been caught. “The driver ran away [from] the accident scene,” Mahamba told News24. A high-speed chase and shootout between police and alleged would-be robbers on Friday ended in the Eastgate Shopping Centre in Gauteng parking lot where three suspects were arrested and two unlicensed guns were recovered. SAPS spokesperson Captain Kay Makhubele said members of its Flying Squad spotted a Ford Fiesta in Bedfordview which was flagged as being involved in a botched robbery at the mall. The suspects had driven off after security guards had thwarted their attempt to hold up a shop, he explained. Officers chased after the car after spotting it on Van Buuren Road and gave chase. A shootout ensued. The trio is expected in the Germiston Magistrate’s Court on Tuesday. “The gentleman arrived at the office. The gentleman introduced himself as Edward Zuma, who is actually not the brother, but the son of the then President. “He started talking about the R15m I had frozen. He wanted it to be unfrozen. 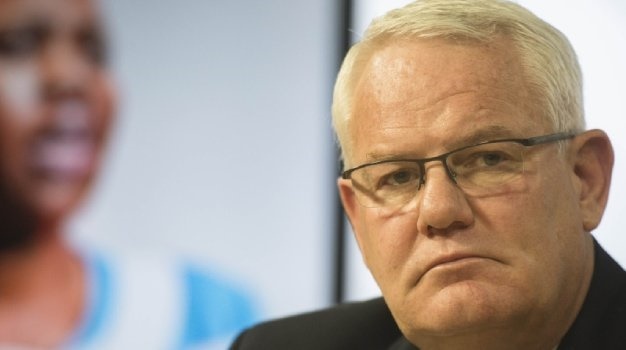 He said he was a silent partner of Panday and he was not getting his dividends,” Johan Booysen testified at the commission of inquiry into state capture. Ten people have been killed in a head-on collision on the N1 in Limpopo, while another is in a critical condition in a Modimolle hospital. Limpopo Department of Transport spokesperson Matome Taueatsoala said the accident happened when the driver of a minibus taxi, travelling from Zimbabwe, lost control of the vehicle and veered into the north bound lane of the N1, colliding with a truck. The accident happened between Kranskop and Mookhophong, between 03:00 and 04:00. ALERT ?? : Major crash on the N1 between Kranskop Plaza and Mookgophong, Limpopo. 1x Truck and 1x Minibus involved, 7 fatalities. “Both lanes on the N1 have been completely closed for two hours to allow forensic pathologists and other people to clear the scene. “What we can tell now is that our people should exercise maximum patience. In the meantime, motorists should use the R101 and R33 as alternatives, if they [are] travelling between Mookhophong and Modimolle,” he said. He added that the road was expected to be re-opened just after 11:30. The province is experiencing high traffic volumes ahead of the start of the Easter weekend. The department has called for motorists to be patient with each other, particularly at toll gates, where there will be congestion. “Please do exercise patience, do not speed, take a rest where possible. Judging by the time the accident took place, we suspect that the driver was fatigued and he lost control of his vehicle. “We always advise motorists to take breaks whenever they feel tired behind the wheel,” Taueatsoala said. A police colonel was shot and killed in his driveway in Witbank on Tuesday evening. The National Commissioner of the SAPS, General Khehla John Sitole, has directed that the killers of Lieutenant Colonel Fana Simon Maseko be tracked and brought to book as soon as possible. According to national police spokesperson Brigadier Vish Naidoo, Maseko was driving his Mercedes-Benz into his driveway in Mtsuki Street in Ackerville in Witbank, Mpumalanga, on Tuesday when at least two armed men opened fire on him, killing him instantly. “The suspects fled without taking anything and the motive for the killing is unknown at this stage,” Naidoo said. “Sitole has instructed that a 72-hour activation plan be mobilised. This is a plan which entails the mobilisation of critical disciplines and resources of the SAPS, including Crime Intelligence, forensic experts and seasoned investigators both from the SAPS and the Directorate for Priority Crimes Investigation (Hawks) to ensure that no intelligence and evidence which could help track down the killers is lost. “This activation plan will also be supported by a specialised tactical team including members of the task force, the National Intervention Unit and/or the Tactical Response Team when the need arises,” Naidoo said. “I have tasked the provincial team to spare no resources in tracking down those responsible”, said Sitole. Naidoo made an earnest appeal to anyone with any information on the killing of Maseko to come forward. “Information may be communicated via our Crime Stop number 086 00 10111. Callers may remain anonymous and all information will be treated with strictest confidence,” Naidoo said. Former mayor of Tshwane and ANC senior provincial leader in Gauteng Kgosientso Ramokgopa painted a picture of a South Africa free of corruption in the governing ANC, during an elections debate hosted by City Press on Tuesday night. Ramokgopa, whose administration in Tshwane has been blamed for a R2bn deficit by the DA, was adamant that under the ANC, corrupt individuals, including leaders, would be brought to book. Speaking at the debate, titled Battleground Gauteng – the Chiefs and Kingmakers, Ramokgopa was one of the panellists of party leaders who were quizzed by the audience on their manifestos. He said corruption was a manifestation of a failure of leadership, adding that there was a correlation between corruption and failed leadership. He said the party should hold itself to high morals and strengthen the foundation of democracy by intensifying the powers of the security cluster. Ramokgopa was seated next to fellow former mayor Solly Msimanga, who investigated allegations of maladministration against the ANC-led government in the city during his tenure. In his address, Msimanga said the DA was calling for an honest and professional police service to cut corruption. He said the DA wanted a coordinated service delivery effort in the province and local municipalities. Addressing the need for a better prosecution authority, EFF premier candidate Mandisa Mashego said the party would ensure the National Prosecuting Authority (NPA) reports directly to Parliament, instead of the justice ministry. She said the NPA needed to stop recycling young black prosecutors without training them as specialists. Courts in Mthatha were closed on Monday, when black attorneys and advocates took off their robes in protest over assigned cases, Daily Dispatch reported.